I clear embossed the butterfly image and then applied different colors of ColorBox Chalk inks direct to paper and blended. This card is a sympathy card for a friend whose sister just passed away. 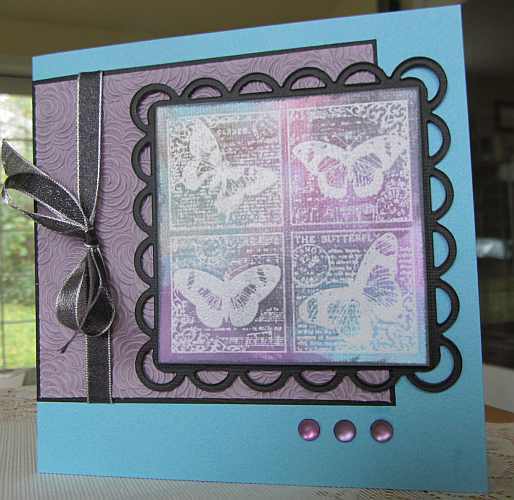 This entry was posted on Friday, November 4th, 2011 at 10:43 pm	and tagged with cardmaking, stamping and posted in Sympathy. You can follow any responses to this entry through the RSS 2.0 feed.